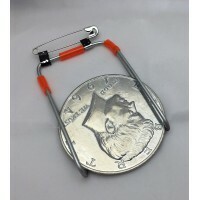 This coin is the largest "load" version manufactured...it measures a full THREE INCH in diameter. And, it is HEAVY. 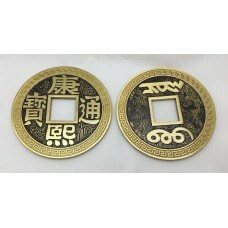 A number of different gaffed and ungaffed Chinese coins are available with this design but in half dollar and dollar size. See the other Luohanqian coin listings on this site. Photo shows both sides of the jumbo coin.